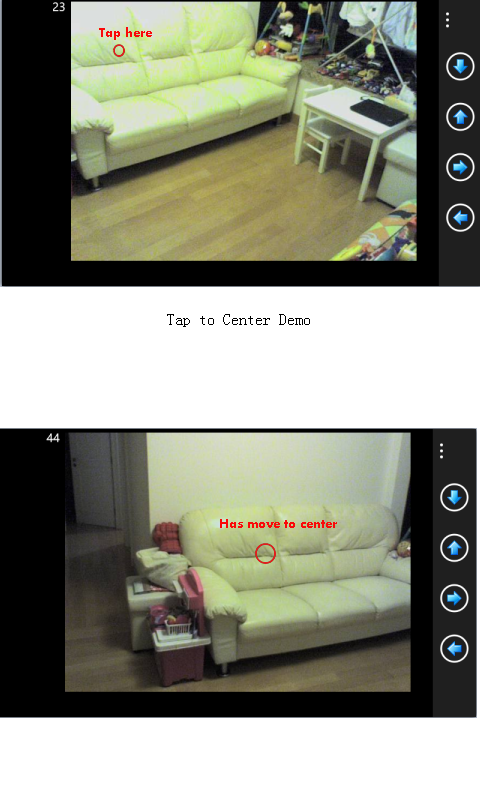 First of all, this app is not only a viewer but also a controller for IP cameras. The philosophy is to give you a direct, simplified and hopefully cool way to control your IP camera on mobile devices, by providing Tap to Center - just tapping on the image and camera will center on the position where your finger tap. Alternative, you can just tilt the phone or tablet a bit, and camera moves to the direction you tilt. For a lot of small brands and brand-less cameras that made in China, please have a try with Maygion or those Foscam types in my app. It works most of time for these cameras. If none of above 2 is working, please be prepared to provide me temporary access to your camera/DVR. You may turn your camera toward to a wall or put a book in front of it to protect your privacy. For DVR product, you may limit access to outdoor cameras only so that it will have less privacy issue. For DVR however, it's normally harder to get it supported since it's generally running on a higher security standard, the video/audio might be encrypted, in such case it's just not possible to crack the encryption. Please keep in mind that there is no guarantee your camera/DVR will be added after providing the access, but I will try my best to get it work. In general, if your camera/DVR supports MJPEG or JPEG (snapshot), or to have a quick test and see whether it could be accessed via Firefox browser without installing any plug-in, it's highly possible that could be supported on both Android and WP; If however your camera support H.264 only, it might be possible to be supported on Android but it's basically not possible on WP/WinRT for the time being.